THAT Damned Band is an accordion-driven group playing new music influenced by Old-time, Old World, & vaudevillian era music and styles. 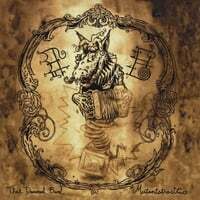 A visceral entry into a world of Goblins, Freaks, Pirates, and the Others from all possible worlds, THAT Damned Band’s brand of Steampunk Goblinfolk music is where the Black Sabbaths and Brian Froud meet. Like a black metal cabaret with a little less makeup, accordions instead of electric guitars, and songs from the dark side of the thicket. They are the Boogeyman in the closet, the monster in the well, the necromancer summoning spirits in the graveyard, the troll under the bridge – invoking Datura Whiskey with blood, greenskin and tattered black lace. 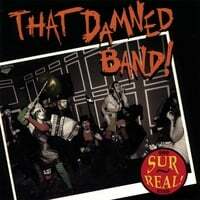 THAT Damned Band features a unique arrangement that includes Accordion, Clarinet, Jug, flute, saw, Resonator Guitar, Tuba, Drums, and washboard. An emotionally charged musical set is spiced up with occasional performances by REAL LIVING HUMAN ODDITIES and circus sideshow acts.